As offshore wind turbines continue to grow in size and power output, wind farm developers and operators are preparing to switch over to 66 kilovolt (kV) technology rather than the current 33kV technology. The advantages of 66kV technology have been demonstrated in three pilot projects; the Blyth Offshore Demonstrator (UK), Nissum Bredning Vind (DK) and Aberdeen Bay (UK) wind parks are all successfully connected to the grid and generating power. Nexans has played an important role in these projects by supplying a range of products and accessories, including 66 kV sea cables (array and export cables), power cable accessories (equipment bushings, connectors, coupling connectors, surge arresters, dead-end receptacles, junction cabinets), GPH connection technology and pre-assembled cables. The Blyth Offshore Demonstrator, 6km off the UK coast, is a pilot plant constructed by the Renewable Energies Division of the French energy group EDF. 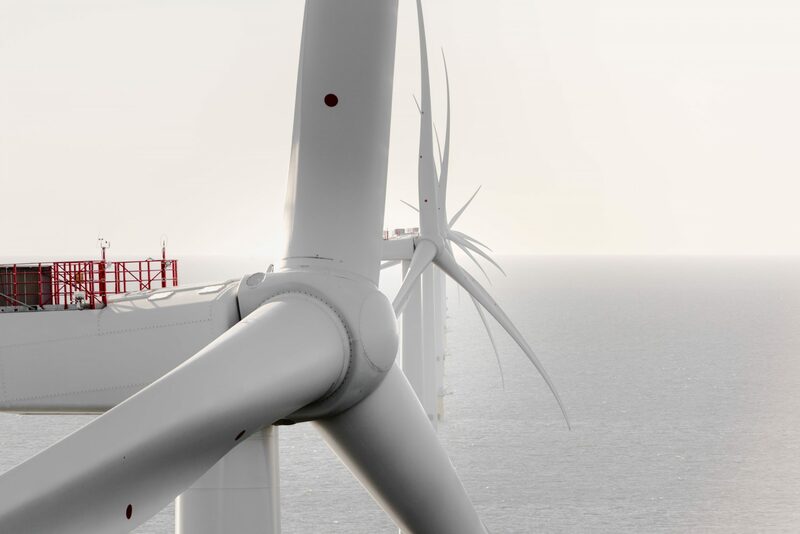 With a total capacity of 41.5MW, produced by five V164-8.0 turbines from MHI Vestas Offshore Wind, it has produced low-carbon power for about 34,000 homes since January 2018. Nexans delivered pre-assembled cable jumpers to connect transformers and switchgear, sea cables for the array cabling and connectors to connect the array cables to the wind turbine switchgear. The transformers were assembled with EUROMOLD bushings and surge arresters. In addition, pre-assembled junction cabinets, export cables and connectors to connect the wind park to the existing power grid were used. The cable lengths were pre-assembled and electrically tested at Nexans Power Accessories in Hof, Germany. The installation teams were comprehensively trained in how to use the EUROMOLD connectors and the GPH connection technology at the Nexans HV Training Center in Hof in order to make future projects as safe and efficient as possible. The sea cables, with a diameter of 127mm, were produced in Hanover and delivered in one continuous length in 2017. The general contractor responsible for the Nissum Bredning Vind project is Siemens Wind Power A/S. In the Danish North Sea, four Siemens Gamesa turbines of the SWT-7.0-154 type with a total capacity of 28 MW were installed. Nexans delivered EUROMOLD connectors and three-core cables for the tower cabling, equipment bushings and surge arresters to the Siemens transformer plant in Weiz/Austria and connectors to connect the array and export cabling. The installation teams were trained at Nexans in Hof. Located off the Scottish North Sea coast, the Aberdeen Bay Vattenfall project, also known as the Offshore Wind Deployment Centre (EOWDC), represents the largest of the three European pilot plants, with 11 V164-8.4 and V164-8.8 turbines especially engineered by MHI Vestas Offshore Wind and an installed total capacity of 92.4MW.